We can replace missing or broken teeth using a dental crown. There are several ways of putting in a crown, depending on whether the tooth is missing completely; has a damaged or infected root, or is broken above the gum line. A crown is a tooth-shaped “cap”; an artificial restoration that is placed over a damaged tooth to improve the appearance and restore its shape, size and strength, or used in place of a missing tooth. A dental implant is a tiny titanium post that is inserted into the jaw in place of a missing tooth, or into a tooth with a root problem once the root has been removed (in a procedure called a root canal treatment). 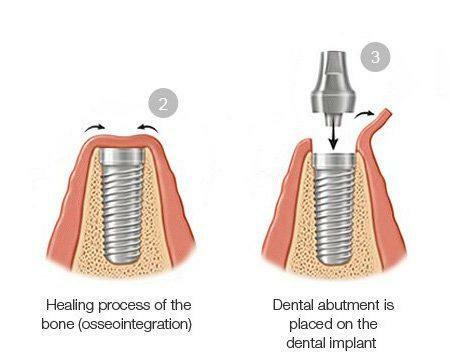 The dental implant acts just like a tooth root, and once it has fused into your jawbone (a process called osseointegration, which takes a few months) then you can have an artificial tooth called a crown affixed on top of it. If you are missing several teeth, you may be wearing (or need to wear) a bridge, which is a partial denture. This is made up of several prosthetic teeth and is often affixed to neighbouring teeth with wires and plastic. You can support a bridge using dental implants, which eliminates the need for wires or plastic. Using an implant-supported bridge also means the neighbouring teeth do not need to be filed down in order to hold the bridge in place. If you are missing many teeth, you may have to swear dentures. Dentures are a set of prosthetic or artificial teeth which are made for either the upper or lower jaw, or both, depending on how many teeth you are missing. People who wear dentures are often self-conscious about their smile as although most dentures fit well initially, they become loose over time and start to slip and slide around the mouth. This happens because once a tooth is missing, the gum and jaw where the tooth used to be start to recede. This recession progresses, leaving a bigger and bigger gap where the tooth used to be; the jaw bone becomes thin and in some cases quite flat, making it difficult to ‘hang on’ to your dentures. Once dentures are fitted for the patient, the gum and jaw continue to recede until the dentures no longer fit well. The biggest fear that dentures-wearer have is having their dentures slip unexpectedly out of their mouth. Denture-wearers also have difficulty eating and chewing, often having to forego foods like apples, bread, steaks and other foods that require strength and stability of dentures. They may experience trouble with speech as the dentures continue to move around the mouth, causing slurring. Dental Implants are the best way to ensure people with missing teeth can smile again with confidence. Implants are made from Titanium as it is biocompatible, which means your body doesn’t react to it. The correct sized dental implant is surgically placed through your gum into the jaw, where it acts as a tooth root, and several implants can be used to anchor bridges and dentures, allowing them to feel, look and function like natural teeth. 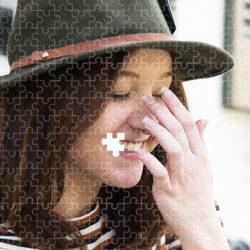 Discoloured teeth can be hidden with veneers, a very thin porcelain shell that is bonded over the tooth. A lot of Irish people have long-term tooth discoloration as a result of an antibiotic called tetracycline that was used years ago. Some have just one discoloured tooth that they’re self-conscious about; others would just love to have a smile to be proud of. For many people, it’s the top six teeth – often known as ‘The Social Six’ – that are most visible when you smile, but it varies from person to person. If you’re hiding your teeth, smiling tightly or closing your mouth in photographs because they are discoloured or misshapen, Smile Store – Your Local Dental Specialists have a fantastic solution for you. Porcelain veneers are very thin shells of medical-grade ceramic that are attached to the front surfaces of teeth for an immediate smile transformation. These shells are bonded to the front of the teeth changing their colour, shape, size, or length. We use porcelain veneers as they resist staining and mimic the natural light reflecting properties of natural teeth. 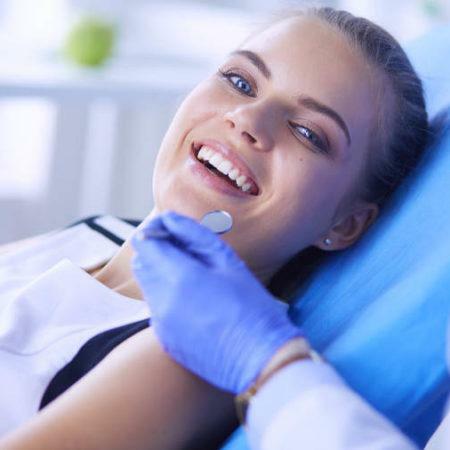 If you are self-conscious about the colour of your teeth and have staining, Zoom whitening kits are available at Smile Store – Your Local Dental Specialists to lift the colour of your teeth by several shades. It is important to conduct whitening under the supervision of a dentist, as gum sensitivity and the strength of the whitener must all be taken into account. A custom tray is made for you which fits perfectly over your teeth and allows safe, effective whitening. If you have teeth that are out of place, or misaligned, you can have them gently guided back into place using braces. There are many types of braces available to straighten crooked or misaligned teeth, and each treatment must be carefully tailored to your needs, taking the right amount of time to move the teeth for the best results. The moving of teeth into place is referred to as Orthodontics, and there are different types of orthodontic treatments available, including metal and clear plastic braces. Orthodontics is about more than just the appearance of your teeth; it also concerns the positioning of the teeth and how they come together when you bite and chew. It helps to ensure the long term health of the teeth, gums and jaws by ensuring the pressure of your bite gets spread evenly across all your teeth. Orthodontic treatment using the right type of brace device can move them back into line with the rest of the upper teeth. There are many different types of braces available, from the clear Invisalign to other types of fixed and removable braces. Treatment is completely customised for age, teeth position and lifestyle. Your orthodontist will evaluate your needs and explain to you in detail what you can expect of your treatment, so all your questions will be answered. Call us today here at Smile Store – Your Local Dental Specialists to discuss your options.